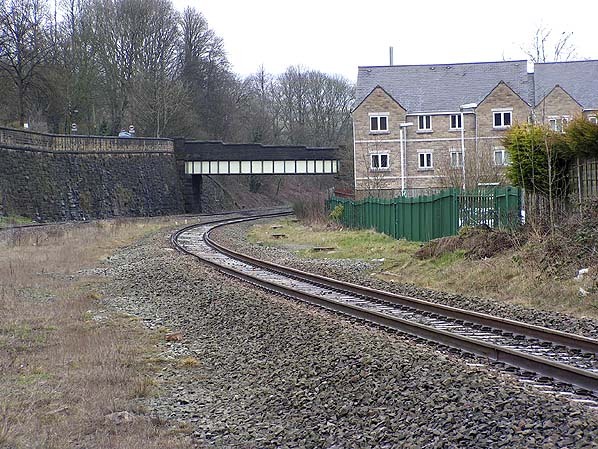 Looking east at the site of Chinley's first station in April 2010. The main station building was on the right side of the line where the modern day apartments are. When Chinley's first station originally opened it was on a double track line. The retaining wall an the left of the picture dates from the first few years of the 20th century when the line was widened. The original stations platforms had reached to the point where the green fence ends.